In this article we can examine the Search Alerts feature of SharePoint. Search Alert is a feature by which the user query is saved. Later when a content matches the query, the user is informed about the content through email or RSS feed. The major search providers online have this feature. 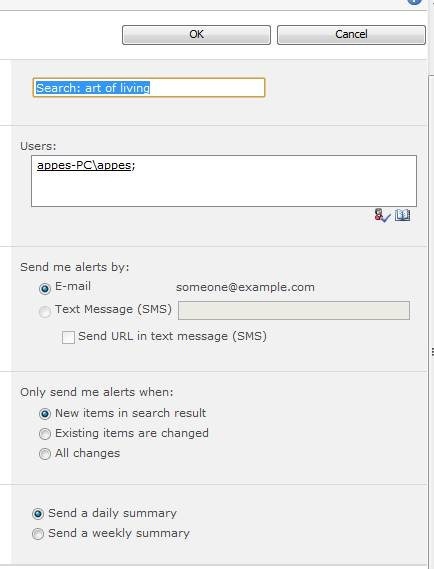 SharePoint 2010 also provides the Search Alert feature. You can try with the Search Alert feature. 1. Open the default site and use the search term which does not exist. For eg: Art of Living. Clearly your search result will be none as shown below. Enter the details and click the OK button. Your Search Alert is ready. For testing the alert, create a list content with the Alert Keyword. You will be getting email notification for the same as daily summary / weekly summary based on the option you have selected. We can also add RSS feeds as an alternative for Email. In this article we have explored the Search Alerts feature of SharePoint. I have seen frequently that beginners in ASP.NET try to use Windows Forms MessageBox and fails. 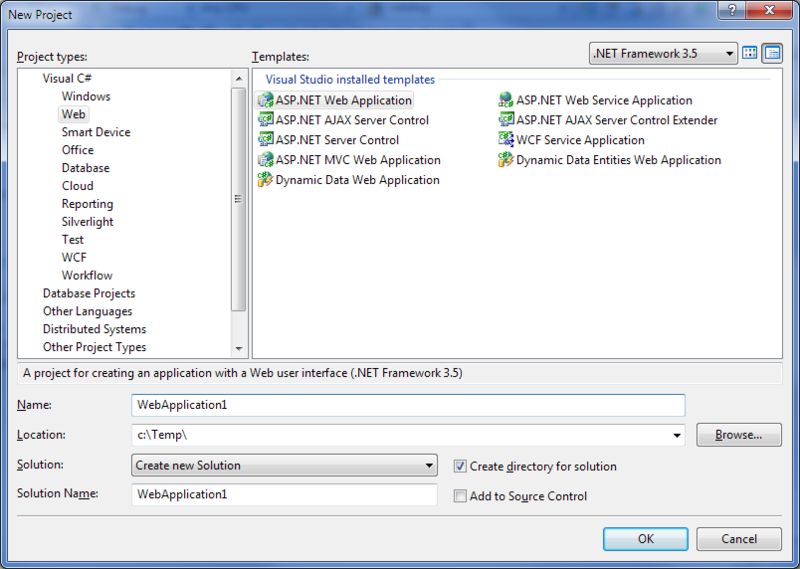 I would like to say that MessageBox class is meant for Windows Forms Application and not ASP.NET Web applications. In the solution Explorer, right click on the Default.aspx and use View Code command. Now you can execute the application.